Includes basic recruiting information, construction of video, and sample recruiting videos. 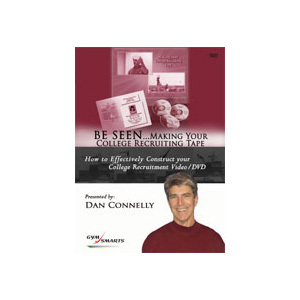 Dan explains simply, clearly and effectively what college coaches look for in a college recruiting video/DVD. It includes basic recruiting information, construction of video, and sample recruiting videos. 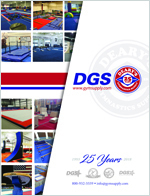 Currently the Head Women's Gymnastic Coach at Bowling Green State University, Dan Connelly has been an influential leader in the gymnastic community as an athlete, coach, judge and clinician for over 40 years. He is recognized as one of the most knowledgeable gymnastics coaches in the world. DVD Running time is 40 minutes.